Former Intel CEO Andrew S. Grove, who is credited with the transition of the company from making memory chips into microprocessors for the PC era, has passed away at the age of 79. Grove, who became Intel's president in 1979 and CEO in 1987, was the first hire when Robert Noyce and Gordon Moore founded the company after quitting Fairchild Semiconductor in 1968. He had been hired by Moore at Fairchild as a researcher after graduation and rose to assistant head of research and development under Moore. Born András Gróf in Budapest, Hungary, in 1936, Grove grew up during a dangerous time for Jews in Hungary in the face of the Nazi advance. His family was able to avoid capture during World War II, and Grove left Hungary in 1956, walking across the Hungarian border to Austria after the former Soviet Union invaded Hungary to quell an uprising. He applied for refugee status in Austria and was eventually granted entry to the U.S. in 1957, going to live with a relative in New York. He parlayed a childhood fascination with chemistry into his schooling. Grove fostered integration at Intel, combining the manufacturing teams and R&D teams to work as a unified force. The approach persists today across Intel's chip manufacturing plants worldwide. 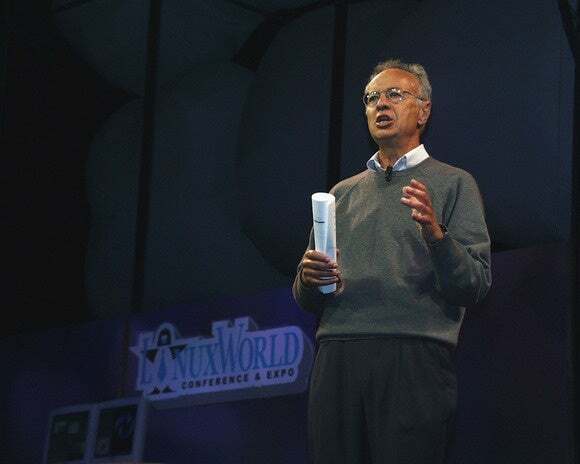 After becoming president, Grove helped Intel change its primary business from memory chips to microprocessor manufacturing for the emerging personal computer revolution. Intel now dominates the market for processors for PCs and servers, but has struggled in the new and important growth markets of tablets and smartphones. In his book Only the Paranoid Survive, Grove described how Intel survived the dramatic changes in the computer industry. A fighter throughout, Grove opted for a non-conventional but eventually successful treatment for his prostrate cancer, a decision he discussed in a 1996 cover story in Fortune magazine. He has also supported research into Parkinson's disease, which he also suffered from. Grove and his wife Eva were married for 58 years and had two daughters and eight grandchildren. Key tech leaders mourned Grove’s death late Monday. Some of these started and grew their companies at around the same time that Intel was growing into a chip-making giant. The software company contributed the operating system for the PC while Intel provided the processors in a powerful alliance during Grove’s tenure that was dubbed in the industry as Wintel. That alliance was to be shaken up later by a boom in mobile phones and tablets driven by Apple and Google, running newer operating systems on chips designed by ARM and other players. Apple CEO Tim Cook called Grove “one of the giants of the technology world.” Michael Dell, CEO of Dell, described Grove as a teacher, friend and leader. “Told it like it was and made it happen,” Dell said in a Twitter message.